What do Martha Stewart and the White House have in common? The both have John Boos and Company products in their kitchens. 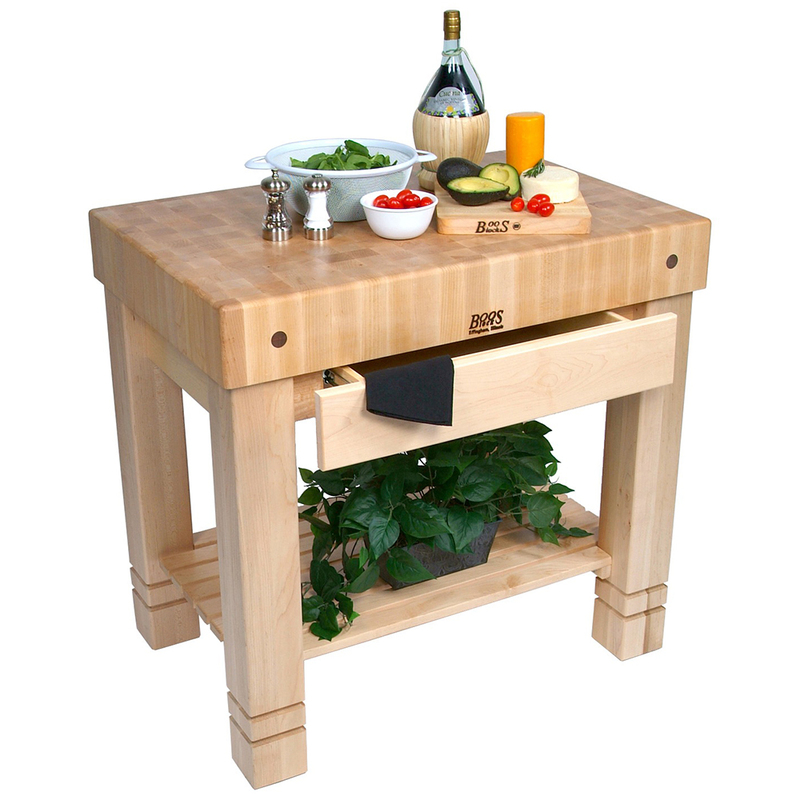 And with proud American heritage, quality materials, and chopping boards of the highest calibre, it’s easy to see why. Makers and purveyors of the very best in American chopping boards and butchers’ blocks, John Boos and Company has been producing fine hardwood boards since 1887. A family business based in Effingham, Illinois, their products have gone from the Boos family workshop to the highest office in the land. This beautiful maple Homestead Block makes a lovely addition to any modern kitchen, and is topped with a twelve centimetre thick butchers block – the very same that makes John Boos famous. Used as extra bench space, for food preparation or storage (utensils for example can be stored in the drawer), this Homestead Block is sure to become the pride and joy of your kitchen. Topped with a thick Boos butchers block. Extra-wide drawer for utensils and more. Low slatted shelf for additional storage. To keep your Boos butcher’s block in top condition, we recommend wiping it clean with a damp cloth after use. Treat with Boos’ Mystery Oil and/or Board Cream (available separately) every three to four weeks to maintain your board’s appearance. Please note that the accessories shown with this cart are pictured for illustrative purposes and are not included, sorry. Dimensions: 91cm (w) x 60cm (d) x 89cm (h) (approximate).